Significant research has been conducted both locally and nationally documenting the tasks completed by caregivers, the impact of caregiving on health and well-being, and the economic value of this tremendous informal source of support for older adults. Our analysis attempts to build on this existing knowledge with a primary focus on the informal support that surrounds caregivers. The ultimate goal of this initiative is to strengthen the fabric of support for family, friends, and community caregivers, and to do so in ways that are compatible with the values and needs of community residents. First, this report provides an overview of the processes by which one assumes the role of caregiver, the time commitment and responsibilities involved, and the challenges that arise when providing care to a family member, friend, or neighbor. Distinctions between primary and secondary caregivers (i.e., whether or not the caregiver is mainly responsible for the care of the older adult) are discussed whenever relevant. Next, the report presents general findings about the support surrounding caregivers including their use of home-based services, employer-based supports, and informal support. 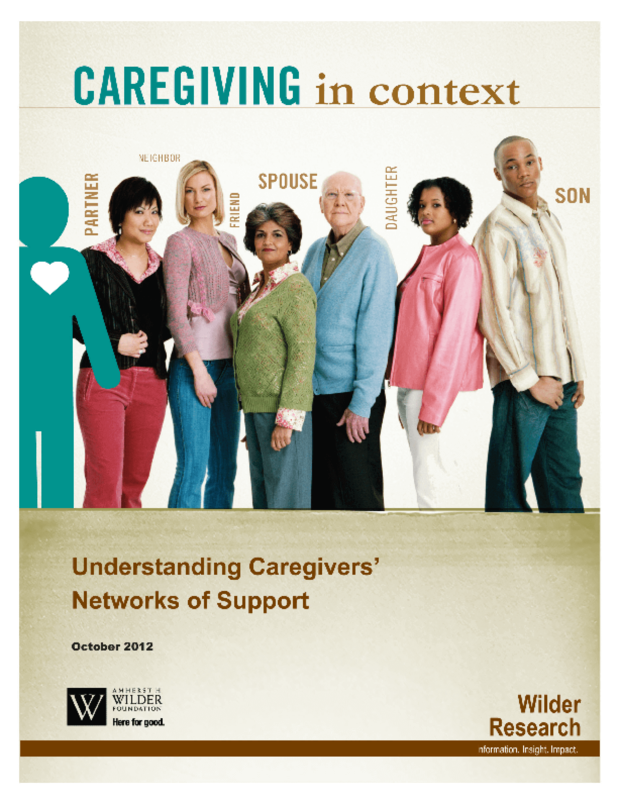 Lastly, we explore caregivers' experiences and levels of informal support through several frameworks.